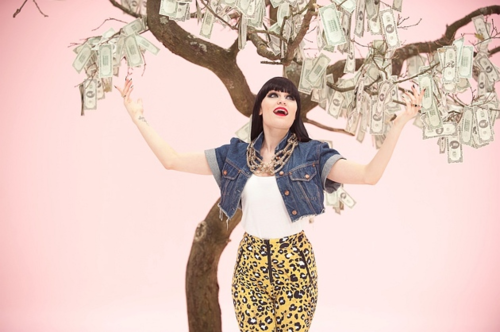 Price Tag. . Wallpaper and background images in the Jessie J club tagged: jessie j. This Jessie J Screencap contains gaun koktail, selubung, cocktail gaun, baju rok, and gaun. There might also be sundress, kirtle, rok, dress, and gaun.